High-waisted pants are a life saviour. They make your legs look longer, and they also elongate and balance our your body proportions. 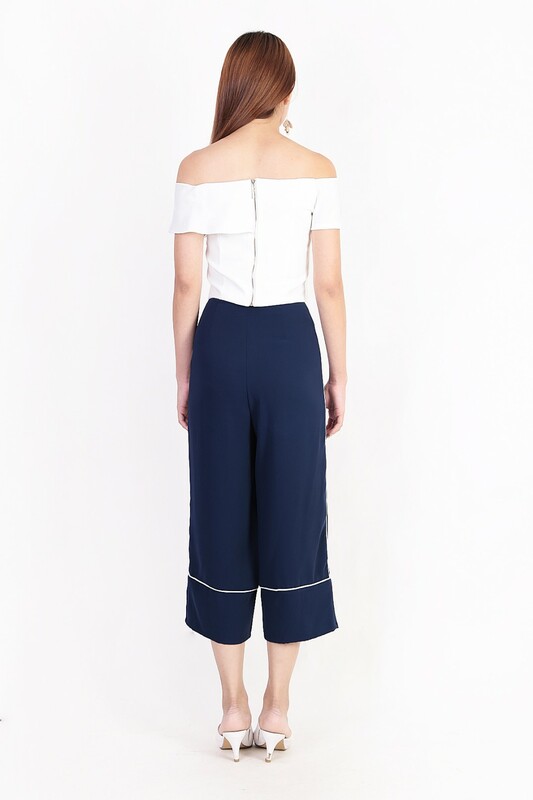 This season we're brining in the only pair of culottes you will ever need. Don on this versatile number and you can take any look from dull and boring to chic and modern. Also available in Black in XS/S/M/L/XL. Made of quality polyester. Comes with functional button and front concealed zip. Non-stretchable.